Richard Ayoade’s SUBMARINE, adapted from Joe Dunthorne’s novel, could serve as an object lesson in many things — how to make an effective transition from TV and music promos (the director is a star of the sitcom The IT Crowd), how to make a British coming-of-age story, how to make a recent period movie and avoid time-capsule pastiche and nostalgia, how to handle a character who isn’t conventionally sympathetic — i.e. who isn’t RIGHT about a lot of things — and still preserve audience sympathy… but the angle I’d like to lavish most praise on is the absorption of influence. 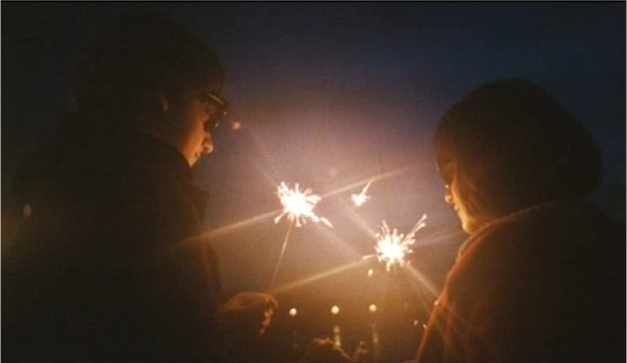 SUBMARINE (it’s not a 1930 Jack Holt adventure film, the title is merely allusive to the submerged feeling that comes with depression) wears its influences on its sleeve, with a boldness alibi’d by the conceit of protag Oliver Tate (Craig Roberts, with his Bud Cort gimlet eyes) continually imagining himself as the star of a movie. 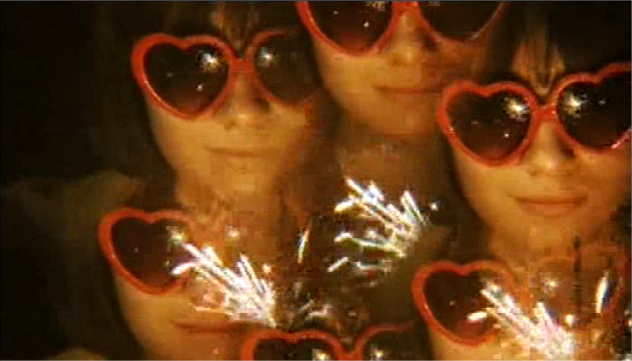 Ayoade throws in Scorsese flashbulb freeze-frames, HAROLD AND MAUDE sidelong glances, a DON’T LOOK NOW red hood mistaken identity, Godardian typography… importantly, the pleasure of the film is enhanced by recognition of the sources — somebody who’d never seen a pre-1980 movie could still enjoy this unhindered, but getting where the ideas are borrowed from is an additional pleasure rather than a source of irritation. At least for me. Crucial to this is that the devices all perform narrative / dramatic / emotional / poetic functions, rather than just being nods in the direction of classics to whose status the film aspires (as in the cargo cult filmmaking of the Tarantino clone). When Ayoade performs a slow zoom into a bowl of lumpy school custard, he evokes the misery of a British comprehensive school education with Proustian immediacy — but if you recognize it as a riff on Scorsese’s alka-seltzer zoom in TAXI DRIVER, there’s an additional laugh. This movie really gets school — the inescapable universal bullying and homophobia. I mean, I love GREGORY’S GIRL, but neither Fiona or I recognize it as in any major way an accurate depiction of the school system. Everybody’s so nice. As with a good period movie set anytime before the twentieth century, a school movie has to start from the premise, surely, that even the finest people are going to be absolutely ghastly at times by any civilized standard. 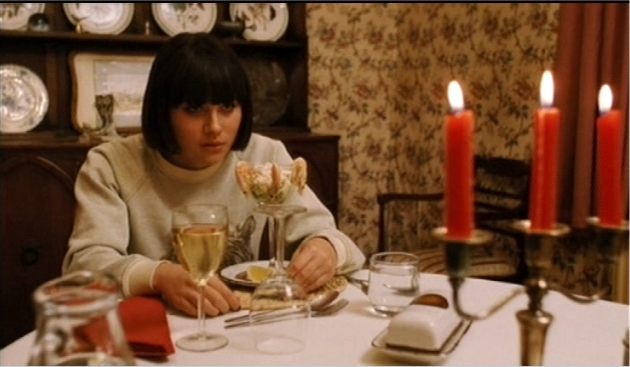 Yasmin Paige is both beautiful and real as the protag’s far-from-perfect “love interest” (a weak expression for teenage passion, that) and succeeds in a role at first sight even less overtly sympathetic than the hero’s. The young actors are supported by adults with intense and original comedy chops — Sally Hawkins (sporting a disfiguring hairdo apparently modeled on Wendy Craig’s look in the 70s/80s sitcom Butterflies), Noah Taylor, Paddy Considine (astonishing low-key physical comedy here). Very wisely, the film avoids stuffing the cast with the filmmaker’s famous chums (that actually works in SHAUN OF THE DEAD and HOT FUZZ, but is generally something to be avoided at all costs). Exec producer Ben Stiller does pop up in heavy disguise on a TV set. By the way, speaking as one whose response to the trailer for Mike Leigh’s HAPPY GO LUCKY was to wish for access to a red button that would bring human life to a swift and merciful end, the time may have come for me to admit that Sally Hawkins is a welcome and useful addition to the bestiary of British acting talent. How will the young stars do in future? 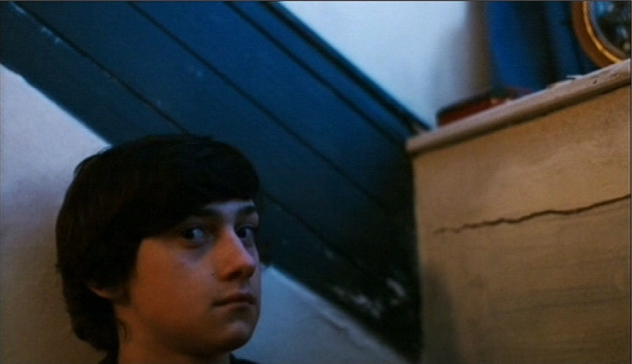 In particular, how will Craig Roberts cope with the fact that he has already, at aged 19, uttered the line he was born to say?